The Miami Beach Convention Center hosts the annual Original Miami Beach Antique Show. 11 a.m.-7 p.m. 1901 Convention Center Dr. Details: https://bit.ly/2Fv8Ind. 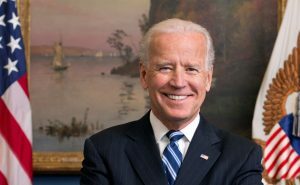 The Broward Center for the Performing Arts presents “An Evening with Vice President Joe Biden.” Vice President Joe Biden has always believed that when given a chance, ordinary people can do extraordinary things. 7:30 p.m. 201 SW Fifth Ave., Fort Lauderdale. Details: https://bit.ly/2M9MzLu. Books & Books in Coral Gables hosts Ashley Feinstein Gerstley’s “The 30-day Money Cleanse.” 8 p.m. 265 Aragon Ave. Details: https://booksandbooks.com/event/ashley-feinstein-gerstley/. 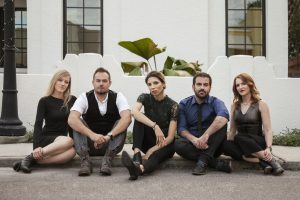 Frost School of Music presents “Outliers: Sybarites.” Recently dubbed the “Millennial Kronos,” Sybarites combines superb classical musicianship with passion and grit to create a concert experience that never disappoints. 8-9:30 p.m. UM Gusman Concert Hall, 1314 Miller Dr., Coral Gables. Details: https://bit.ly/2LWhk6z.